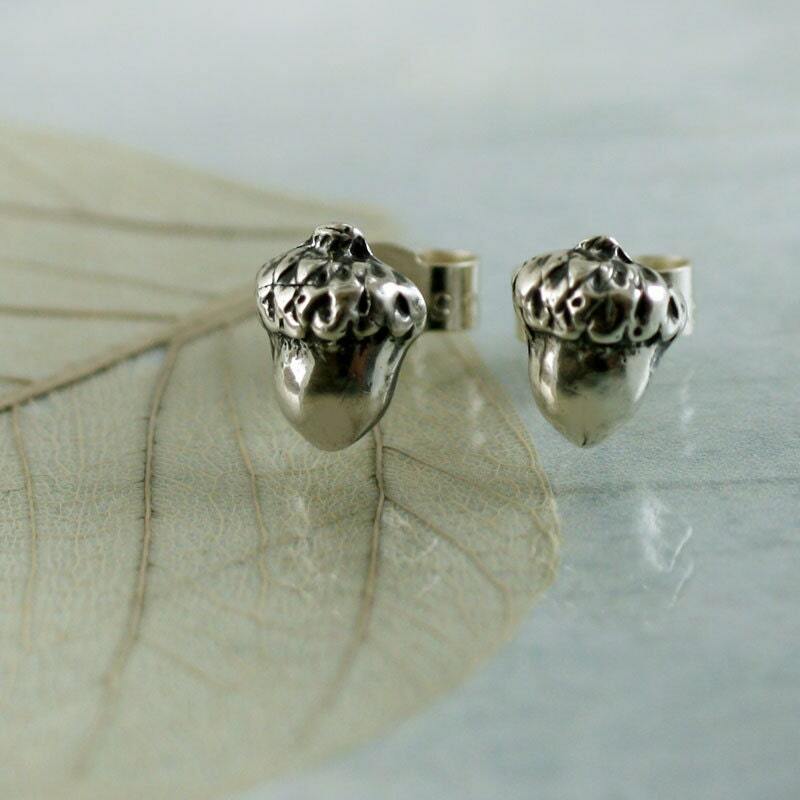 Small and finely detailed, these little nature lover's earrings are perfect accessories for any outfit. 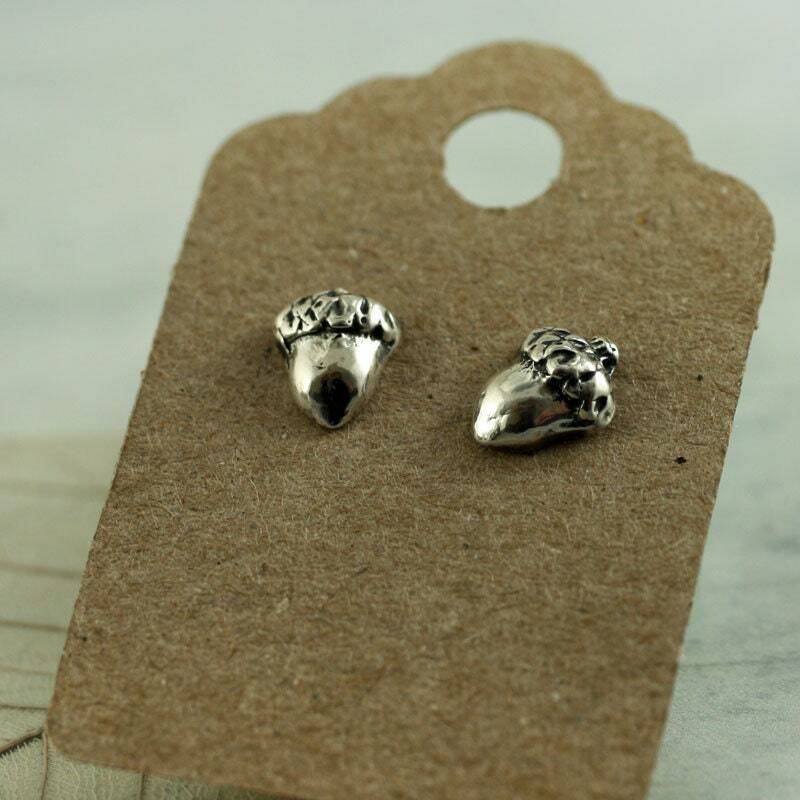 Acorns are a powerful symbol and a lovely gift to give anyone starting on a new adventure or having a baby. 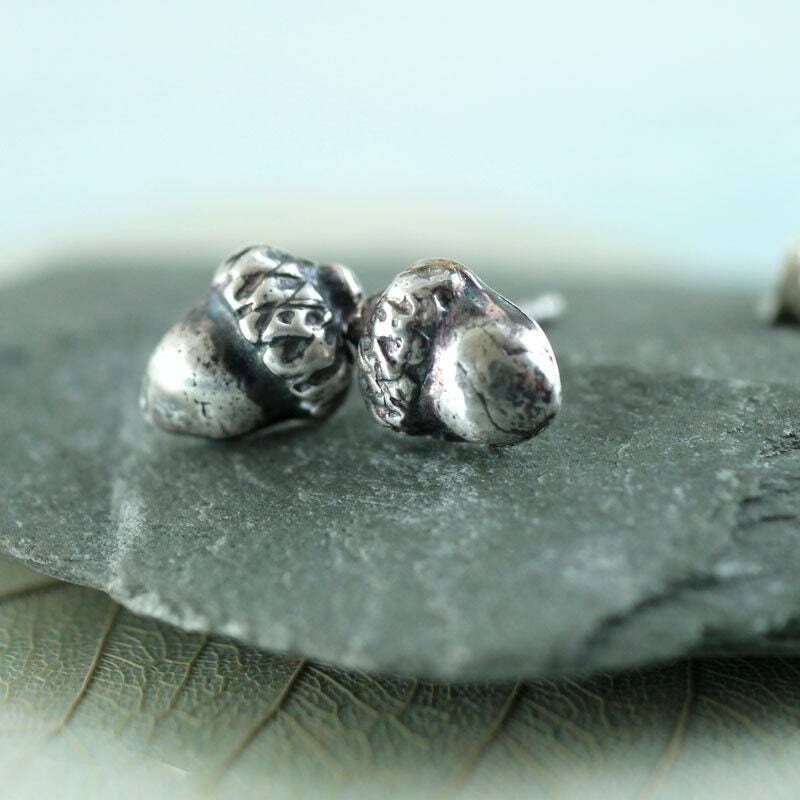 The little acorns lie flat against your ear. 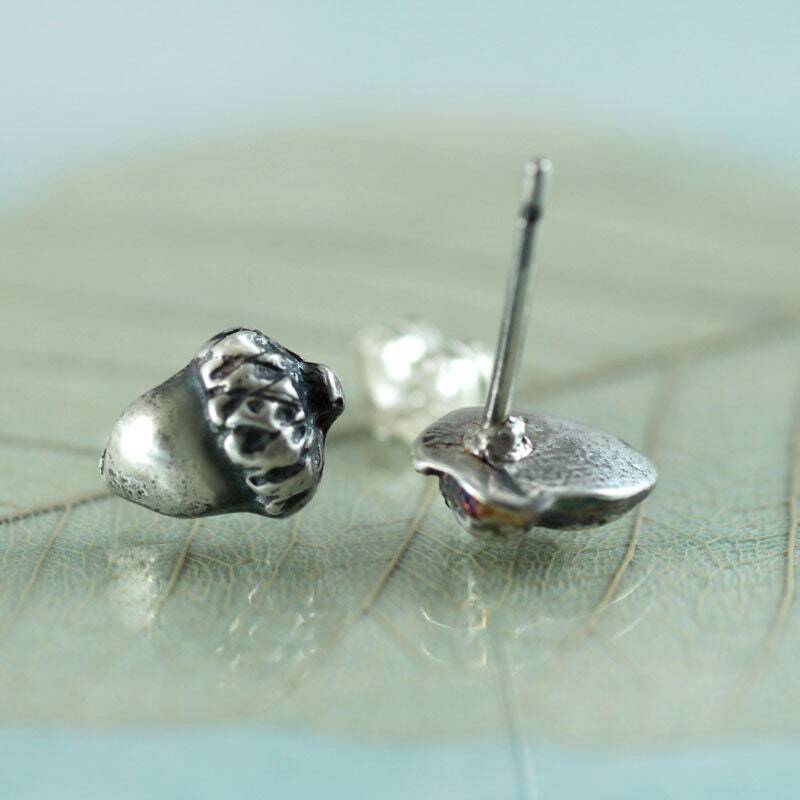 They are just 6 by 4 mm big and are fastened on posts with butterfly scroll backs. 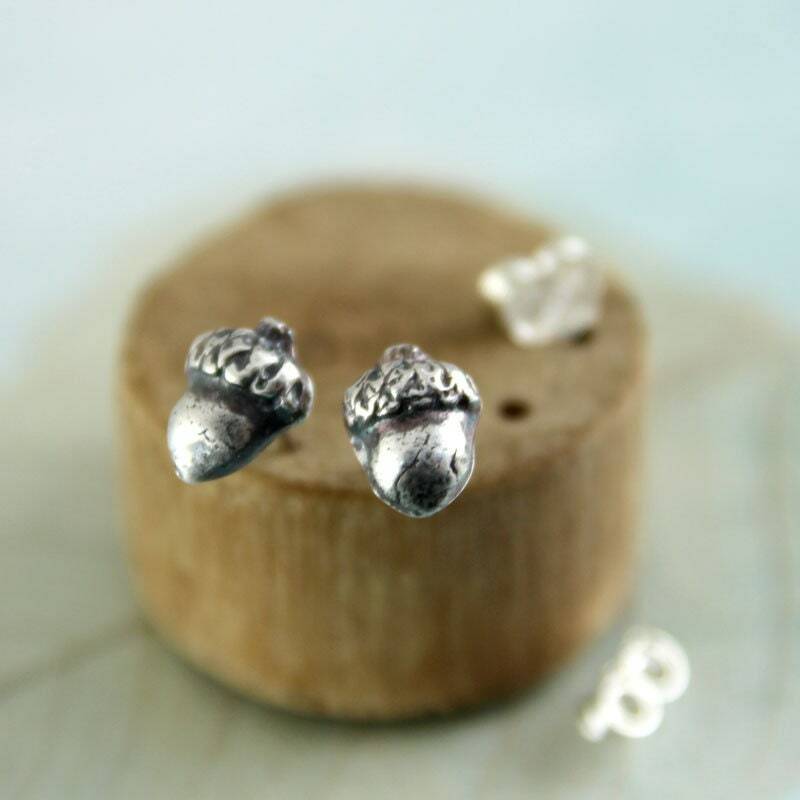 Everything is made from sterling silver. 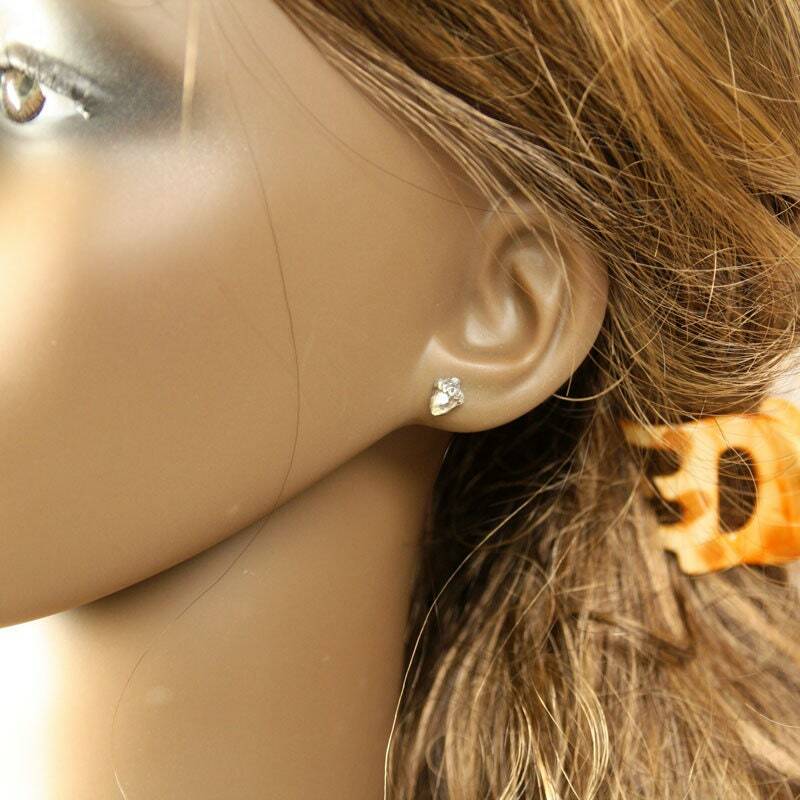 * Posts made from 0.8 mm diameter wire, 12 mm long. 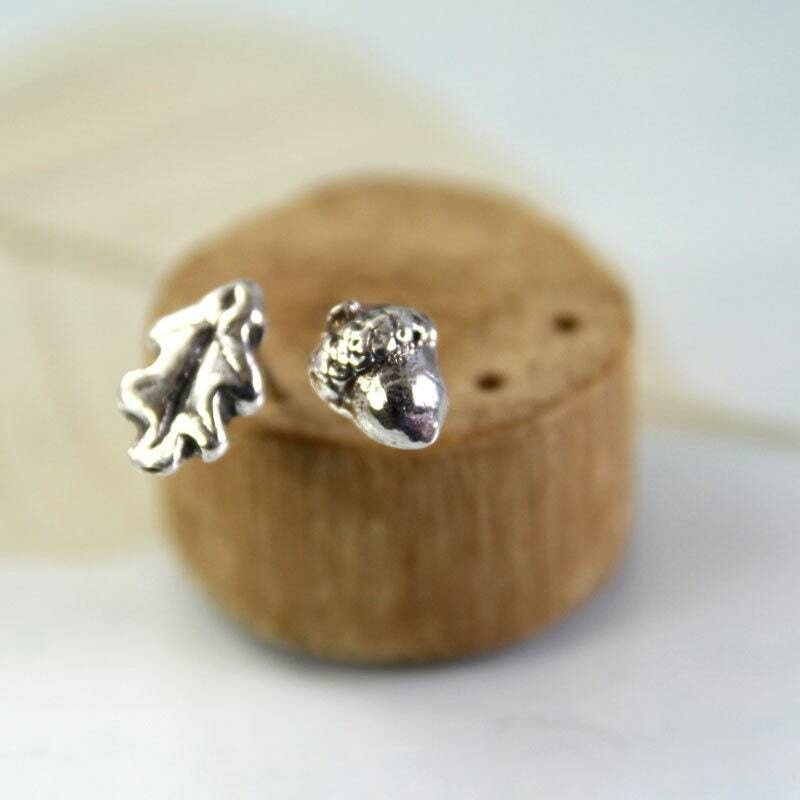 You can also choose to have a mixed pair - one oak leaf and one acorn all in silver. Have a look at the last couple of photos to see the mixed pair in action. Just choose from the drop down menu. 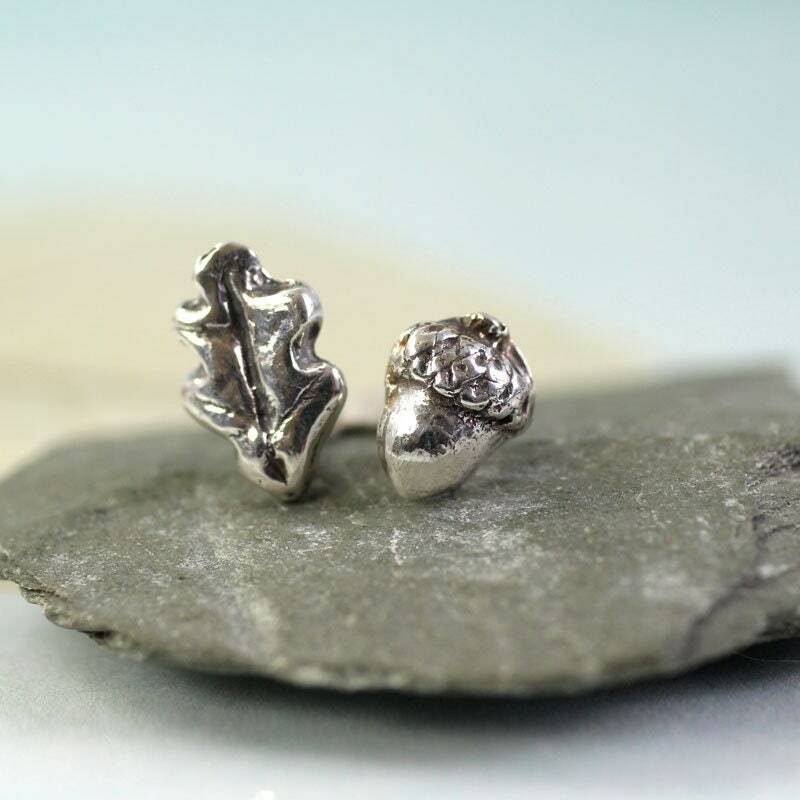 So happy with these lovely earrings! 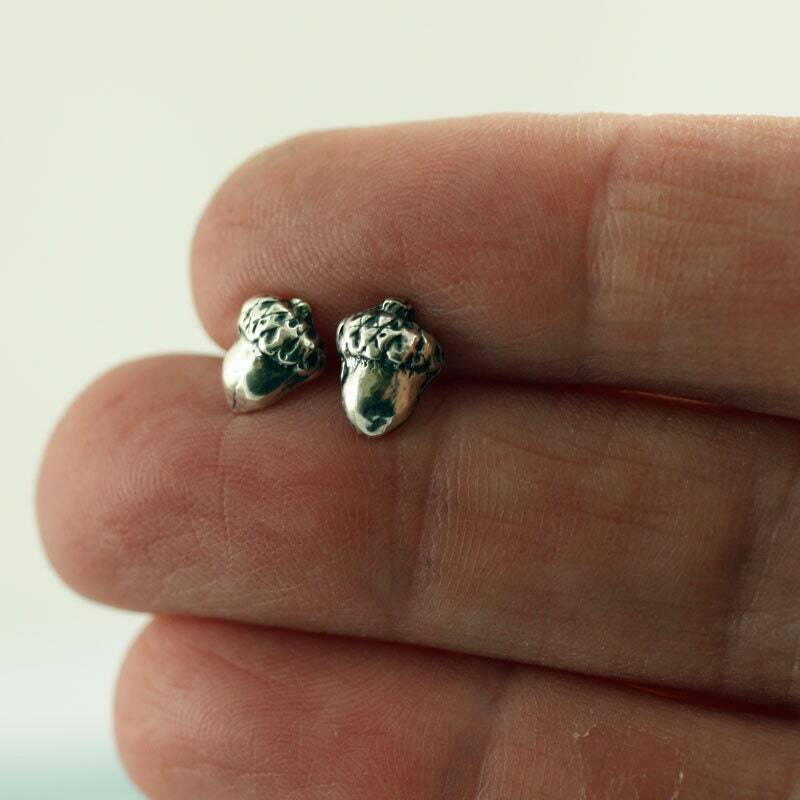 I get LOTS of compliments on them every time I wear them. Just what I was looking for, and they are BEAUTIFUL. Arrived quickly from UK to USA. Love them! 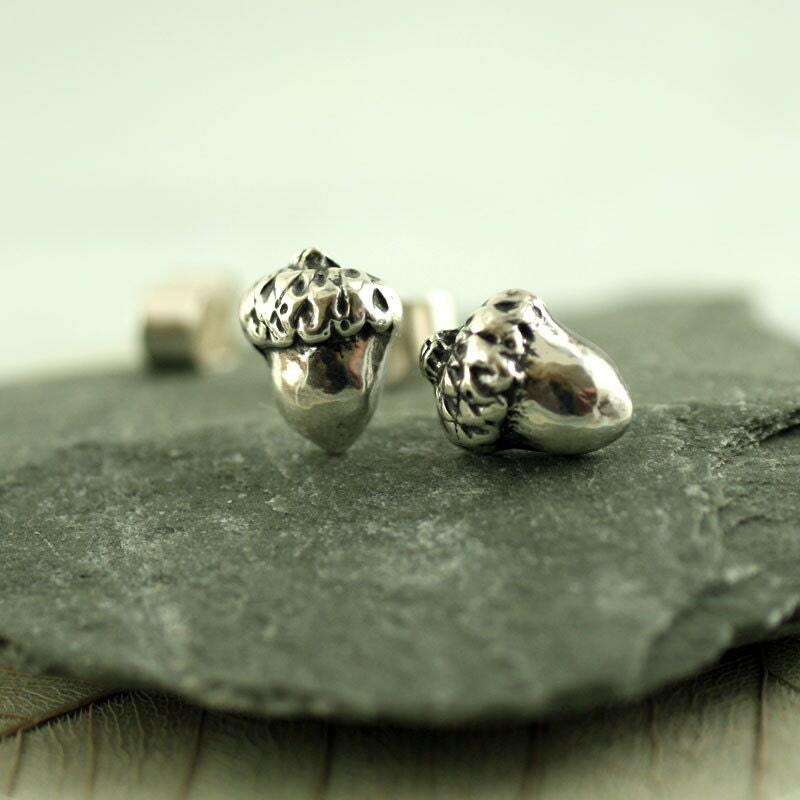 Lovely little acorns, perfect size. Super-fast delivery, nicely packaged. Hope to buy from again!